Management is a broad subject area spanning marketing, human resources (from a UK and international perspective), as well as the management of public and private organisations. We have a distinctly global perspective here. It's reflected in our teaching and collaborations, not to mention the international nature of our student population. 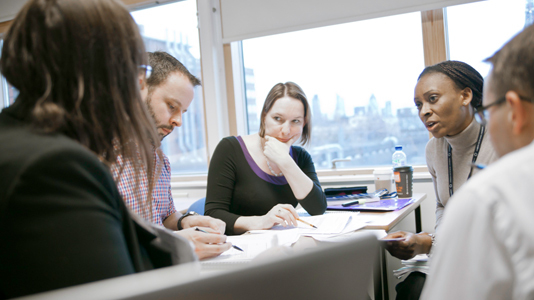 Courses in Management, Marketing and People offer studies across a wide range of subjects. Access to specialist software boosts the skills needed for employment. Staff are eager to help students realise their full potential. We're committed to finding ways to equip our students with the skills to help accelerate their career progression. A selection of case studies show the opportunities on offer for students and staff. Courses in the School of Business are professionally accredited, accelerating your career progression.